The Easiest Way to Learn Guitar. Guaranteed. I really like Mark's teaching style. He seems amazingly patient. When I first joined there weren't a big breath of lessons but they've already added several courses. I'm excited to see what other things are coming in the future. What a great experience! 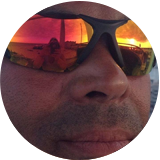 Mark shares his knowledge and talents with us people who are looking for a real-time, down-to earth individual who can help us achieve a level of success that is based on our time frames :) Thanks Mark! Best guitar teacher on the internet! I've followed Mark for the past 2 months and have amazed myself at how quickly I could learn guitar. 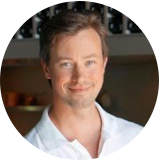 Mark is clearly a natural teacher and his classes are easy and most importantly FUN! 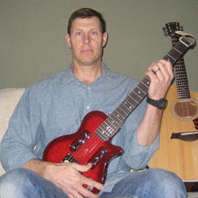 Hi, I'm Mark McKenzie, Head Guitar Instructor at Jamorama.com. I'm also a contributor to ﻿﻿Guitar Player Magazine, and the Creator of The Guitar Guy YouTube Channel. When I started learning guitar, the only available learning resources were magazines and artist recordings. Back then, I would have given my eye teeth to have access to quantity of information we have at our fingertips today. YouTube. Subscription sites. Free lesson sites. Many of these provide fantastic lessons and resources... But unfortunately, many online lessons are inconsistent, not well organized, and just plain wrong. Using these lessons can lead to a lack of motivation, bad habits being developed, and a huge loss of time and money. That is why I created the Jamorama Guitar System. It provides you with a clear pathway to take you, step-by-step, from beginner level through to becoming an advanced guitar player. Along the way you'll learn Rock, Blues, Country, Lead Guitar, and more. And you'll do it in a fun, practical, and engaging way. Make progress quickly and achieve your goal of playing the guitar with our proven step-by-step approach. Access your video lessons anytime, anywhere in our 24/7, on-demand, HD video lesson library. Have fun while you learn with exciting play-along songs that enable you to plugin and rock out! Earn points and unlock new levels of achievement in our unique gamefied learning environment. 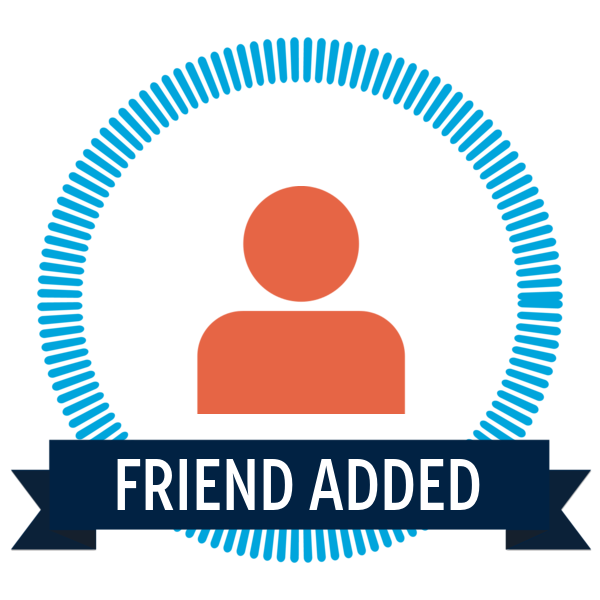 Make friends, collaborate, and share your love of guitar in the first Social Network for guitar students. 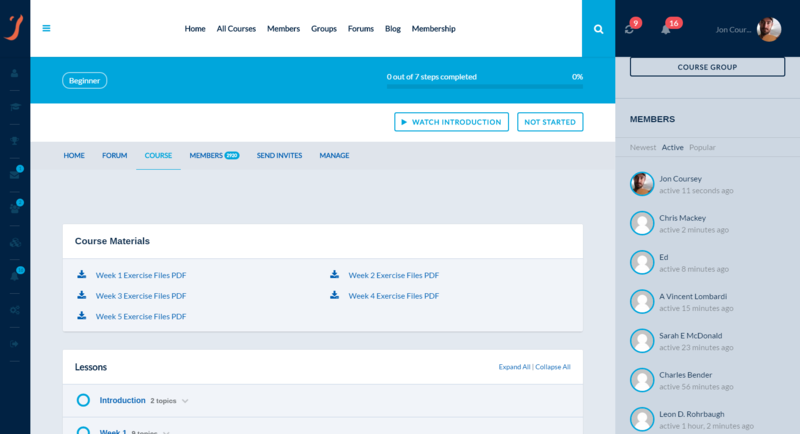 Measure and chart your progress with our lesson progress tracking and reporting. Only pay once and get access to everything Jamorama has to offer with our unique lifetime membership. Order with complete peace of mind with the protection of our extended 120-day money-back guarantee. The Jamorama Guitar System includes 275 step-by-step video lessons, integrated play-along jam tracks, progress tracking system, social network, and gamefied learning. Each component was designed to work perfectly together to give you the best learning experience available. You'll learn all the basic concepts you need to start playing guitar and building your skills. You'll learn all the chords including open chords, bar chords, power chords, inversions, and more. You'll learn to strum using the world famous 'Tick Tock' technique that gives you perfect timing. You'll learn all the major styles including Blues, Country, Jazz, Rock, and Funk. You'll learn invaluable techniques like Hammer-On, Pull-Off, Slide, Bend, Vibrato, and more. You'll learn the most important scales including Major, Minor, and the Pentatonic Scale. You'll learn 100s of chord progressions enabling you to start making music right away. Learn the key concepts of lead guitar that will give you the ability to solo along with any music. Learn how to play the blues with concepts like the 12 bar blues, blues chords, and blues licks. 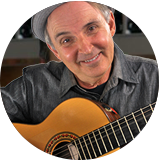 You'll learn how to play finger style guitar in the style of Chet Atkins, Mark Knopfler, and more. You'll learn advanced picking patterns that turn basic chord progressions into symphonies. You'll learn famous songs from artists such as Neil Young, The Eagles, Lynyrd Skynyrd, and more. You'll learn how to apply music theory to your guitar so you can write songs and lead bands. You'll learn how to read guitar Tablature so you can learn 1000s of songs from free TABs on the internet. You'll learn an incredibly easy to grasp framework for improvising like a seasoned pro. You'll learn a proven method for setting and achieving your guitar playing goals. You'll learn how to structure your practice time for optimal skills development. You'll learn how to service and maintain your guitar so it's always in top playing condition. In our Stage 1 course we show you the ropes and help you form a solid foundation you can build on for years to come. Unlike many other beginner courses that have you learning music theory for weeks before you get to play real music, this course gets you playing recognizable riffs in the first week. If you want the best start in guitar, this is it. Picking up where you left off in Stage 1, you'll add even more riffs, chords, and strumming patterns to your repertoire. By the end of this course you'll be playing basic lead guitar, the 12 Bar Blues, 7 fundamental strumming patterns, 6 famous guitar riffs and you'll be well on your way to becoming a rock solid performer with guitar in hand. In this course you'll build on the 12 Bar Blues you learned in the Beginner Stage 2 course and develop essential Blues rhythm and lead skills that will enable you to play gritty, soulful Blues guitar like Muddy Waters, B.B. King, Stevie Ray Vaughan and More. In this simple yet powerful course, Mark shares his uniquely practical approach to guitar theory. By the end of the course you’ll have a practical understanding of chord theory, scale theory and rhythm theory. All of which will help you learn songs faster, write your own music, communicate with other musicians, and much more. The ideal next step for those who have completed our ‘Beginner Guitar Method’ series of courses. In it you'll learn key lead guitar concepts like using scale shapes, creating and playing riffs and playing in a key. You'll be shocked when in week 2 you find yourself playing along to one of your favorite songs without even thinking about it. You'll think, "I hardly recognize this playing from what I was doing just a couple of weeks ago... who is this person playing my guitar?" “Your course is so convenient and so straight forward that I’m just happy as can be with my progress." YOU WILL LEARN HOW TO PLAY GUITAR! “I just highly recommend this for this small amount of money, and if you get this you WILL enjoy it and you WILL learn how to play guitar." HONESTLY, I'VE NEVER SEEN ANYTHING LIKE IT! “I'm 60 years old and I'm finally realizing my dream of learning to play the guitar and honestly I've never seen anything like it, I feel like I'm really starting to learn something and not just playing but learning music as well." THE BEST GUITAR LESSONS I'VE HAD! 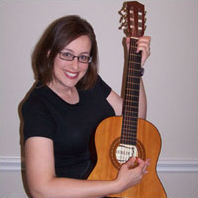 “These, by far, are the BEST guitar lessons I've had! There is no other program on the internet that will even come close to Jamorama! Voted #1 out of the 'Top 10' guitar lessons on the internet. I thought playing the guitar would be hard and taxing, but not with this! You don't have to sit at the mercy of a guitar teacher, spending countless hours AND MONEY to get the results you want. 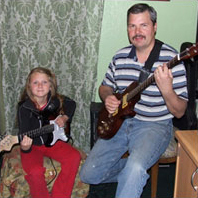 Jamorama makes it fun, easy and inexpensive to help you hone your skills to become a great guitar player. Whether you are a novice or an expert, you WILL benefit from Jamorama!" “Jamorama is truly an amazing program. In just a month I've completed the first stage and I'm learning faster than my fingers can get calloused because I'm so excited. I plan on using my new skills to join my church band hopefully in just a month or two (at the pace this program allows me to go). This program is awesome!" 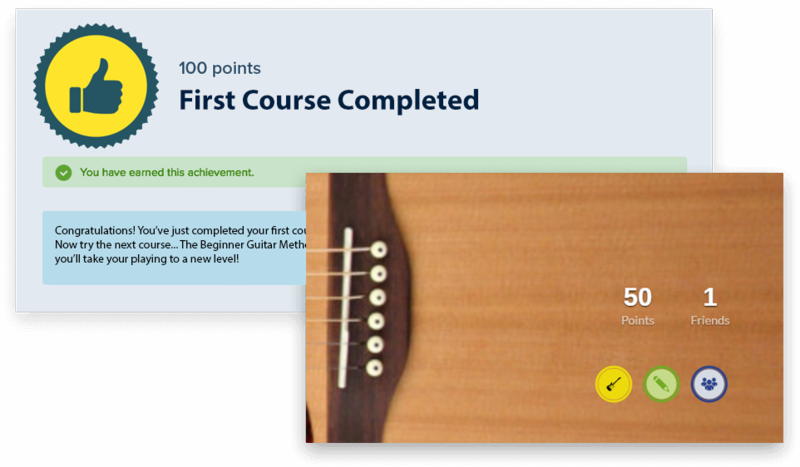 Try this online course risk free for 120 days and if you're not playing advanced songs, riffs and licks, just send us a message and we'll refund your money, no questions asked. Bonus Extras, Limited Time Only! Plus, when you order today, you'll get these 3 amazing bonuses. » YES, I want to get this NOW! Jamorama doesn’t just help you learn to play guitar. Jamorama motivates you to learn, thanks to powerful social features and integrated Gamification. Extensive social features, enable social learning. Gamification, helps motivate you. Download and printout the TAB for each lesson and use it in your practice sessions (where applicable). Having the TAB on hand for each exercise makes learning new skills even easier and is a great way to develop your music reading abilities. Your order is backed by our extended ﻿﻿120-day guarantee, so you have three full months to try the lessons risk free. After you click the buy button you will be directed to our Member Checkout page before paying via our secure payment provider, 2Checkout. Your account will then be created giving you full access to all available guitar courses on the Jamorama website. You will have full life-time access to Jamorama. No ongoing subscriptions. No time limit. Just full unfettered access to all our current and future lessons now and forever... It's the best deal in town! If you have further questions, don't hesitate to contact us and we'll promptly get in touch with an answer. If you don't like Jamorama for any reason, just send us an email via our support system in the next 60 days, and we will refund your purchase, no questions asked. Why should I buy this course instead of JamPlay or Guitar Tricks? 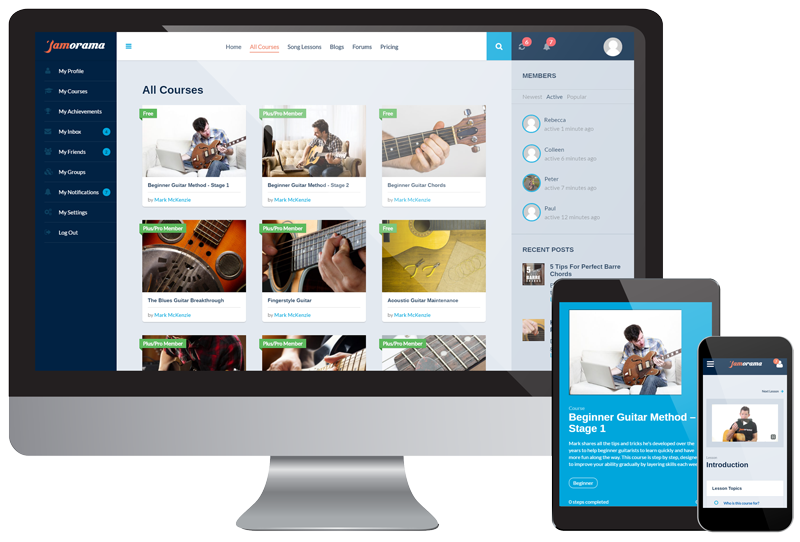 We've looked at our competitors and it's clear, Jamorama provides the best place to start learning guitar online for under $100. And it's a one time payment only - NO expensive subscription fees getting sucked out of your credit card every month! Not only that, we provide loads of ongoing support and lessons to help you grow and develop your skills. We're the World's first social network for guitar students and we offer the longest money-back guarantee! Add it all up and you've got one hell of an offer, wouldn't you say? Don't Get Left Behind: Get Jamorama Today!